After reading today's featured verses I realized that I needed a reminder on what the historical significance was behind the Palm Branches. I looked this up in my Bible Commentary. During Biblical times, the common practice was to honor a victorious person by carrying Palm Branches. It's amazing that this "great crowd" knew that Jesus was the Messiah. Even the disciples were confused by this greeting that Jesus had received. The disciples were confused because the Resurrection had not yet happened and in their minds Jesus was not "victorious." 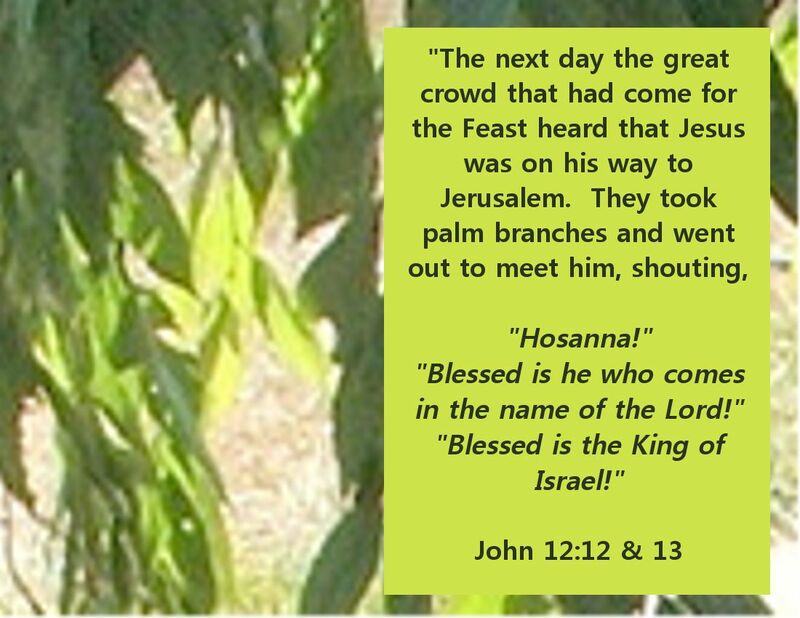 It wasn't until after Jesus had risen from the tomb that the disciples understood the meaning of this event (now known as Palm Sunday). 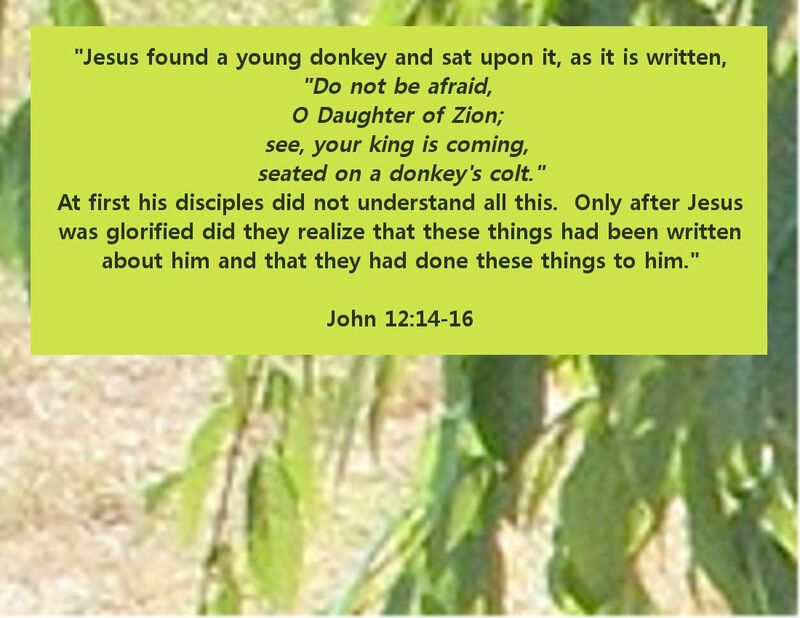 It is also important that Jesus rode on a donkey - fulfilling the prophesy in Zechariah 9:9. 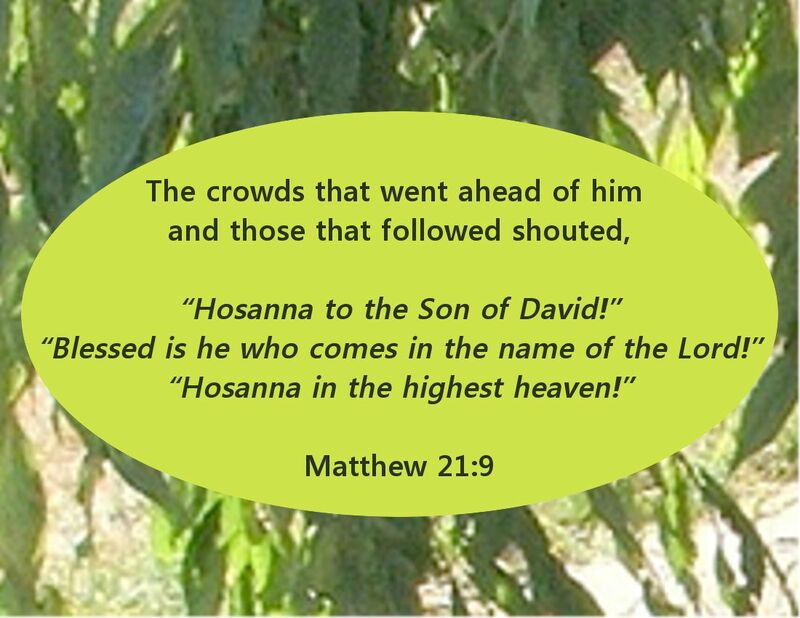 Every single little detail was significant.....from the Palm Branches......to the chant: "Hosanna! Blessed is he who comes in the name of the Lord! 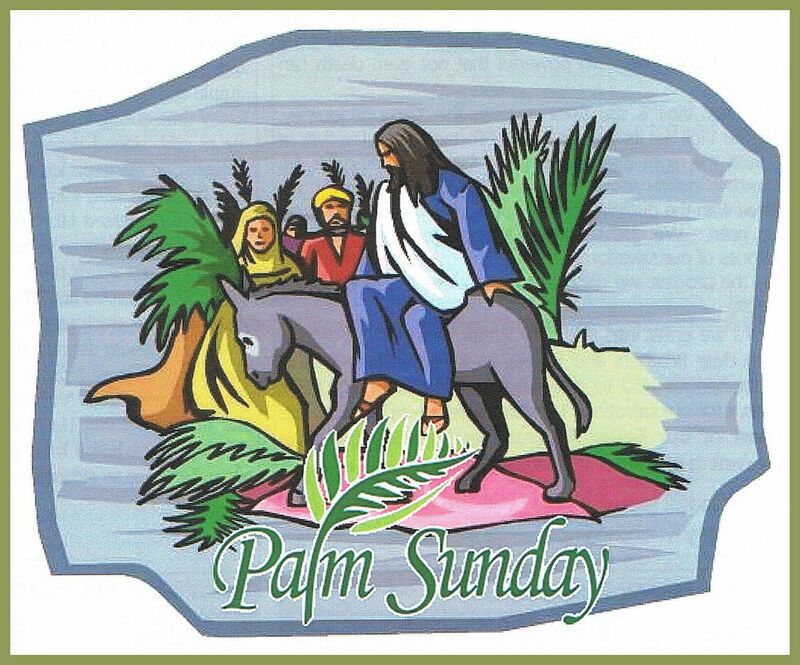 Blessed is the King of Israel!.......to Jesus riding on a donkey.